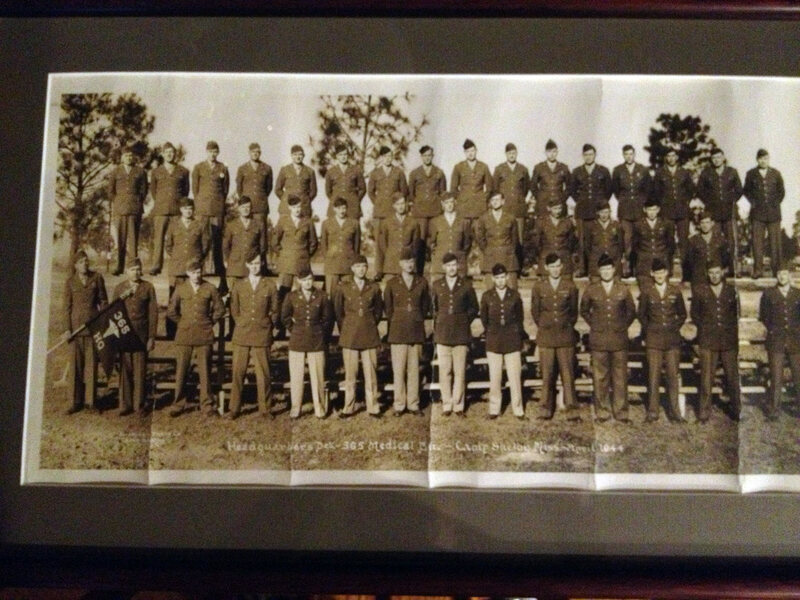 My dad was in the 365th med bat. 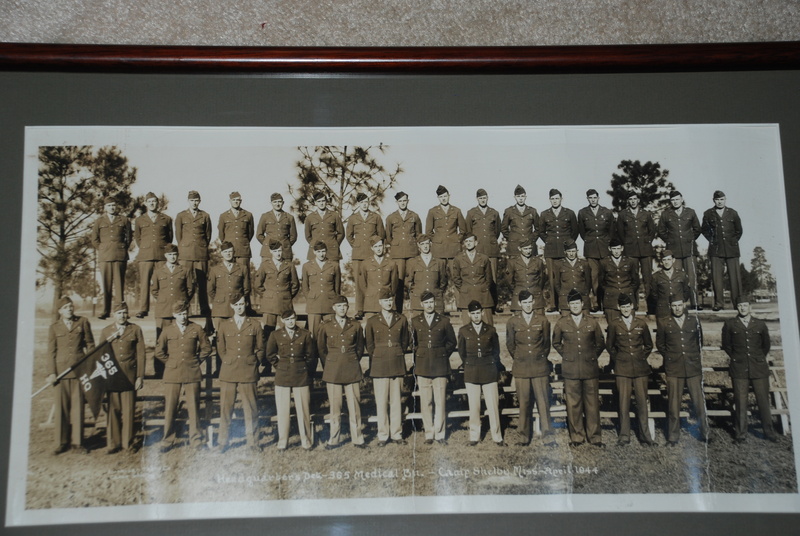 From him we have a copy of the battalion picture from camp Shelby miss. 1944. I think your grandad is in the picture and I wondered if you had a copy. I wrote him back immediately to say I did not. 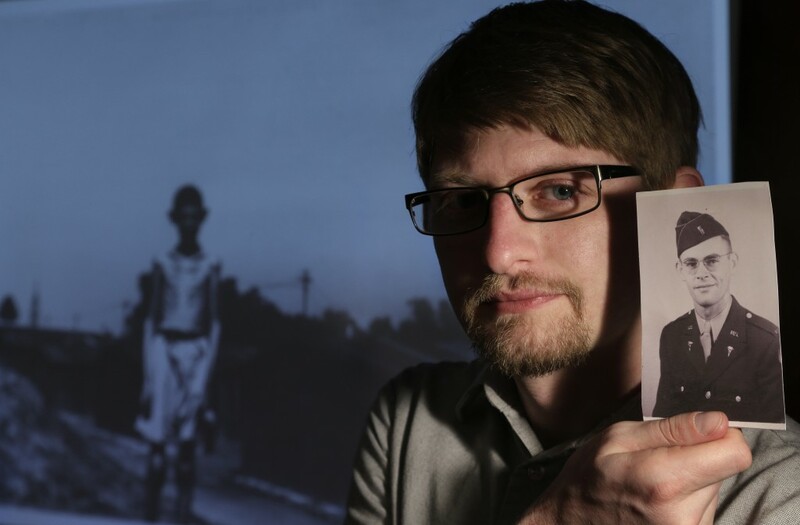 He sent along the image above, taken with his phone because the picture is in the frame. He promised to scan it for me soon. What is so interesting for me about this photo is that it shows the officers of the 356th Medical Battalion, in which my grandfather Donald Johnson served during WWII. He was a Lieutenant in B Company, and it is my search for his story that is at the heart of my film 16 Photographs At Ohrdruf. I love that this picture includes the 365th Flag! 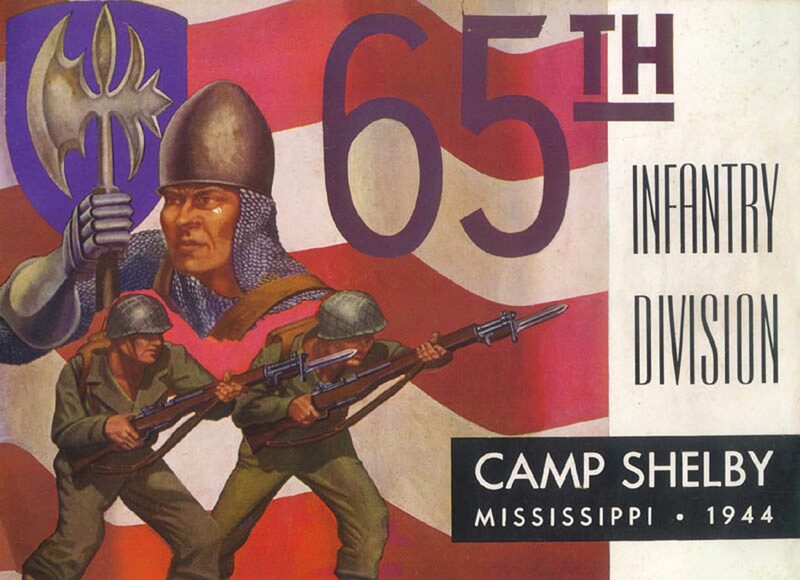 The 365th was part of the 65th Infantry Division, who fought in Europe at the end of the war. The 65th traveled further and faster than any division, going 583 miles in 60 days, according to their Division history “Right To Be Proud.” It was the 65th’s commander General Reinhart who took over as Occupational Governor of Bavaria and northern Austria. Thanks to Rich for sending this picture. It’s another great addition to my growing history collection about the 65th Division and the 365th Medical Btn. 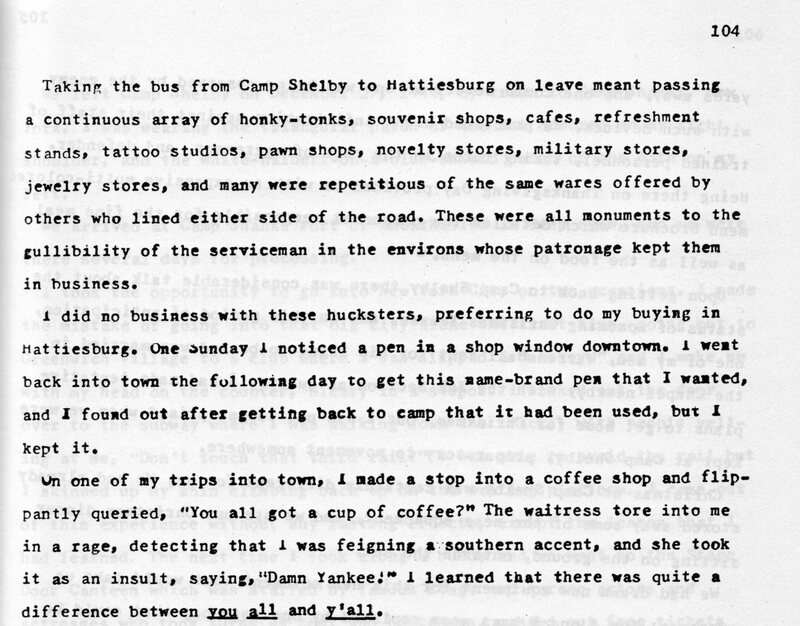 Looking through my files, I found this book published during the war of the 65th Division at Camp Shelby. Below are some of the pages I found interesting, with an emphasis on the 365th Medical Battalion. 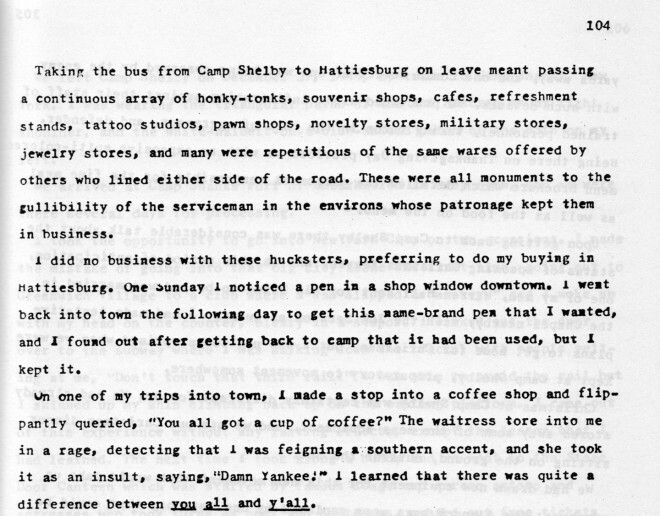 Click here to see the whole book as a PDF. The page spread for the 365th Medical Battalion. Photos taken from the ceremony the day the 65th Division was activated. The 65th was the last division activated during WWII, and traveled 583 miles in 60 days of combat, the furthest and fastest of any American division in the war. Apparently boot camp also had its highlights. This weekend I received a higher resolution version of the Camp Shelby photo from Mr. Sizemore. I’ve added it below.